Who doesn't love winters? specially one where lowest temperature are in teens. Taipei seemed to fit the mould perfectly with a bit of twist. 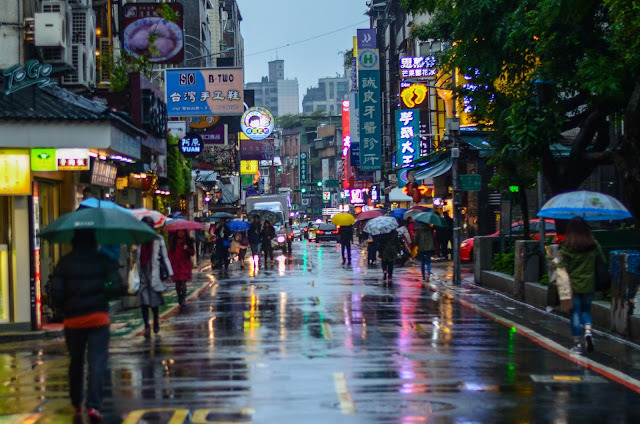 It rains in Taipei in winters and it was an unknown for us till a night before travel. But then that is what travel is about, diving into uncharted territory with bag full of clothes. Touchdown Taipei and its a refreshing new feeling. Pleasantly cold with mist in the air, driver on the left hand side, and phone as good as brick we headed to hotel in Ximending, a street popular with youths. The plan was to head to Taipei 101 and get a birds eye view of city. But a hungry mind cannot think so food first and we were in the centre of Ximending night market. Mee Sua, Sa long paw, ... and I dare say, beef cubes. To cap it off, as they say when in Rome be a roman but when in Taipei, drink bubble tea (i made it up, haha). 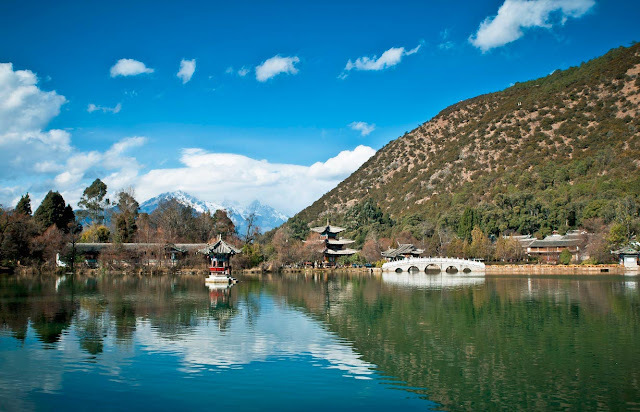 Wikitravel suggest blue dragon pool of Lijiang as China's finest view and it goes on to add Tiger Leaping Gorge as China's finest trek. It was hard to imagine what could be so great about a gorge! guess its time to experience. A 2 days walk marked with villages with Yulong mountain always in front and Yantze river continuously deepening the gorge deep below. Numbers have always fascinated me and here is another one. 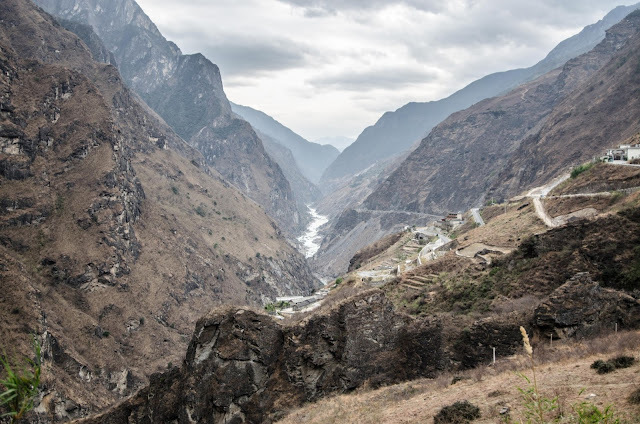 The owner of one guest house told me that almost 50 trekker visit the tiger leaping gorge everyday but the lower reaches of gorge accessible by bus is visited by 5000 people. These numbers speak volume about the tourism industry these days. I continued the trek with the help on some sign boards but the path is normally well marked. The above sign board in Mandarin was one of many that i had to ignore. But when the sign board came in English, it was not helpful either. It is always special to travel first time to a country. It is the only time when imagination meets reality. How much did China surprise me? It cannot be told in numbers. What can be told in numbers is only the number of days I spent, 12 days. These twelve days had a strong analogy with Vipassana meditation! A Vipassana meditation is designed to detach one from daily life distractions and outside world. The mediation is designed for 10 days sometimes. One goes through the hardest time for first 3-4 days. Its only then one realizes the presence of self being. The sound of heart beat, the focus of imagination, the force of air gushing in and out of nose. Jama Masjid and Qutub Minar: two building from different era, symbols of different empires but united by their architectural marvel. The Delhi of today is very different from those era yet when we stroll around these magnificent monuments, it reminds us of our glorious past and rich heritage. Jama Masjib is one of the biggest mosque in India, built by mughal emperor Shah Jahan in 17th century. Located among the congested streets of Chandni Chowk and Chawri Bazar, it is easily accessible on foot or rickshaw from metro station. 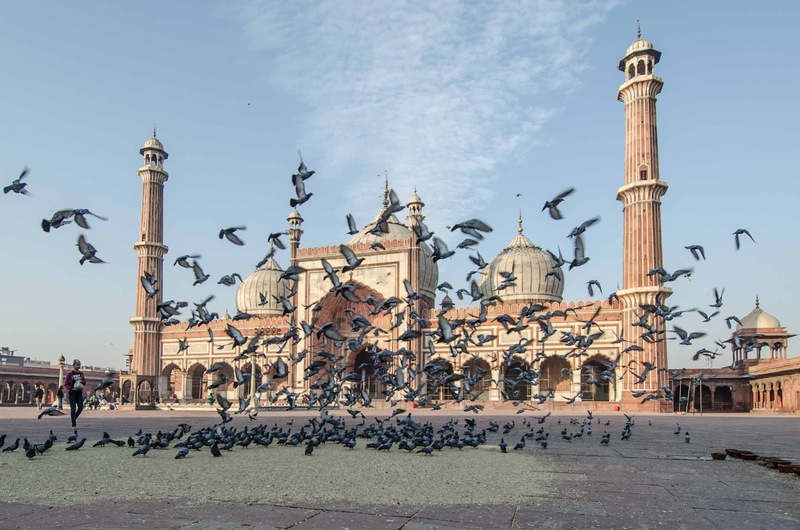 As it true for any monument in India, best time to visit the mosque is in morning when the air is still cold. "Failure teaches a man how to succeed"
This was a quote hanging on a tree in Wat Phra Singh, Chiang Mai. Chiang Rai and Chiang Mai offered me peace when I really needed it. It gave me opportunity to break away and clear my thoughts. I chose to spend time in temples, visiting the karen tribe, observing the life of monks and making new friends. 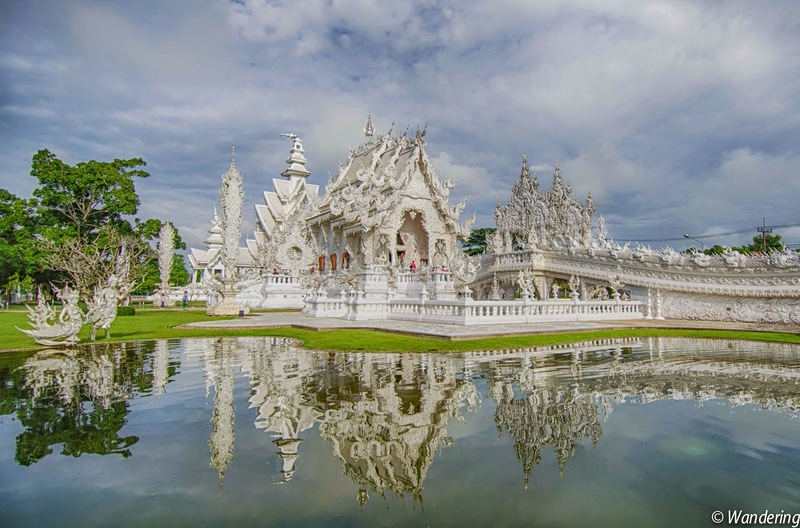 Wat Rong Khun: The journey started from Wat Rong Khun, the white coloured temple. As I understand, the concept of temple is walk from hell to heaven. There is a beautiful but scary representation of hell at the beginning of temple. But as one walks, the fairy tale representation of heaven starts to appear. Each and every corner of this temple is beautifully done. It is an amazing feeling to be there. "We shape our buildings thereafter they shape us"
Humayun tomb, the monument that inspired the construction of Taj Mahal a century later!! It was constructed in 1572 by Bega Begum in memory of her husband, Humayun, the great emperor of Mughal era.It is fascinating to see the contrast from Taj Mahal, which was constructed by Shah Jahan in memory of his wife. This magnificent piece of architecture is made from contrasting red sandstone and marble. 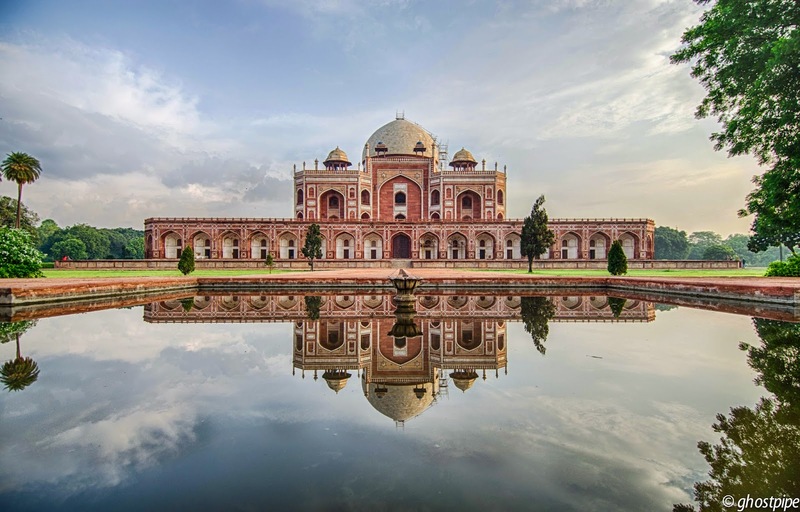 The whole architecture of Humayun tomb is inspired by Quranic description of paradise, the beautiful garden beneath which a river flows at the final resting place. Humayun tombs has more than 100 graves from mughal era. It was also one of the refugee camp at the time of partition of India. "Good friends, good books and a sleepy conscience: this is ideal life"
There are very few who would appreciate our definition of bachelor party. It was no hangover, no strippers, no wild party. It was all chitchat and things we haven't managed to talk, four of us knowing each other for more than four years, two of whom getting married to love of their life. 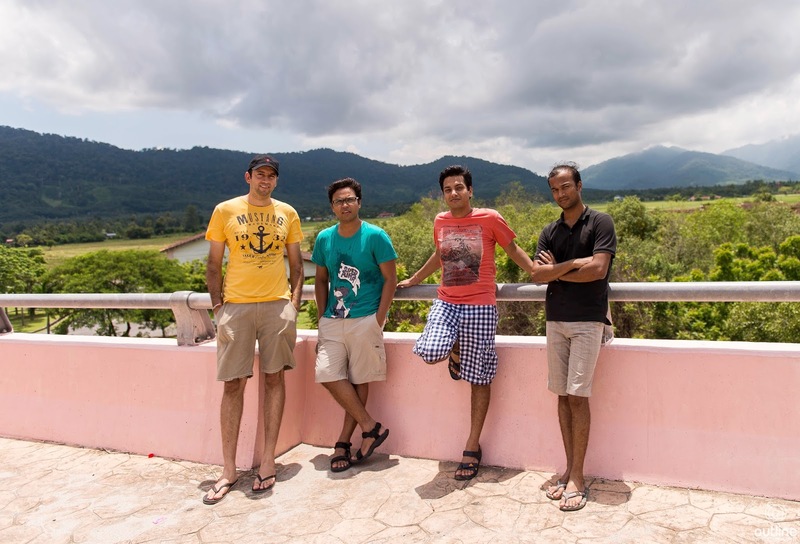 We decided to head to Langkawi with close to no expectation. It is an island off the west coast of Malaysia bordering Thailand. But guess what! enough was there in store to surprise us. The beaches are serene, unspoilt and the roads are so less crowded that one can really enjoy driving. This is one of the first few pics we took, somehow it gave me the memory of Ranchi. 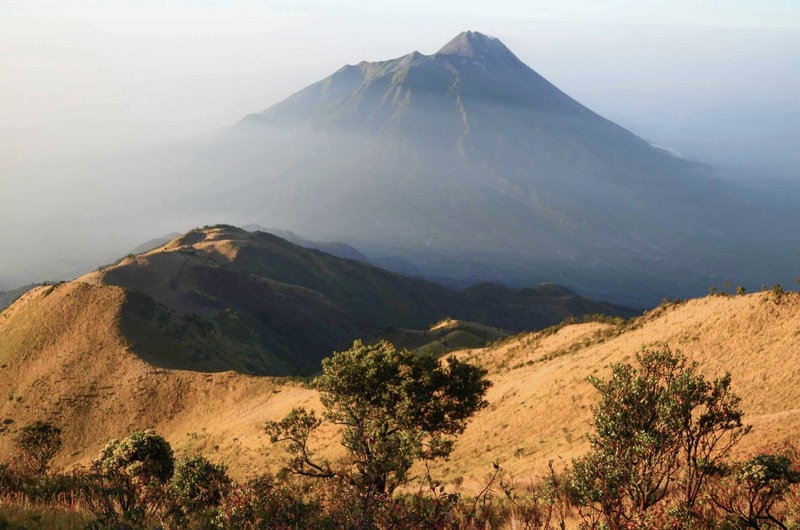 Mount Merbabu, standing tall at 3142 meter, is a dormant stratovolcano and the perfect place to view skyline of east java filled with volcanos. Mount Merapi, only few hundred meters from here, stands out among those. This mesmerizing view from the top of Mount Merbabu is perhaps only a stroll away for the fits trekkers but for a lazy occasional walker, this was some effort but a worthy one. The may day in year 2013 was wednesday. The only way to use it was to take the whole week off. With this excuse, me and my friend were off to Manila for nine days. However our final destination was Palawan. We took Air phil express flight to Puerto Princesa from Manila as soon as we could. Our intent was to see the Sabang subterranean river and El Nido. Ever since we landed in Puerto Princesa, we were greeted by Edward Hogedorn, Mayor of Palawan, everywhere, not personally but with his posters - big and small - all around. It seemed as if he was part of natural land scape. Though later this year, he lost the election. Rinjani had been lingering in our minds since quite a while, ever since we came back from Merbabu in Java. We booked the trip three months in advance and we put honest effort in training for this trip. (Running 5 km, 3 times a week and 100 km cycling on Saturdays ). Situated in the center of Lombok in Indonesia, Gunung Rinjani is an active volcano. It is considered as one of the challenging treks in South East Asia. A 3 day 2 night trek is quite popular and gives just enough time to explore the crater rim and summit. A relatively comfortable trek would be 4 day 3 night one. For the ones interested in summit attempt, Sembalun route is the way to go. 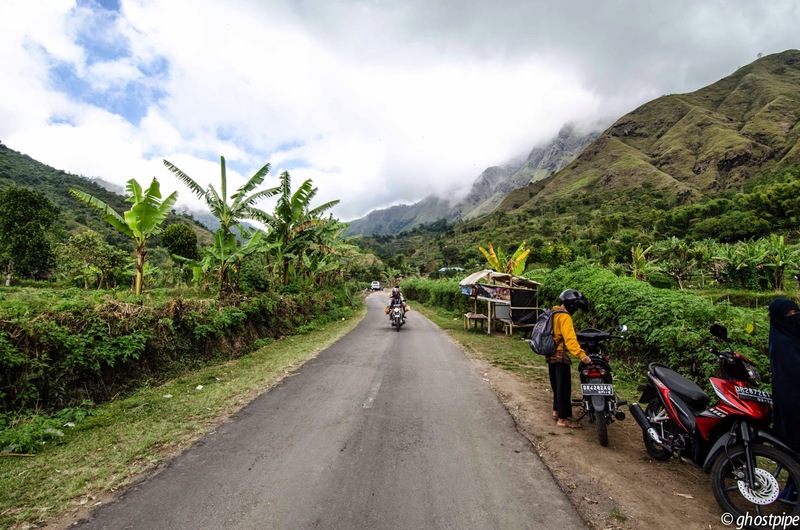 We found Sembalun route as more comfortable and scenic also. Sembalun itself is 2 and half hour from Lombok Airport. The other route starts at Semaru (3.5 hrs from airport) but it ends at crater rim. One will have to do an additional day trek to reach Sembalun side for summit attempt, with low on energy.